Exporter of a wide range of products which include levothyroxine sodium tablets, progesterone tablets, norethisterone tablets, levonorgestrel tablets, clomiphene tablets and deflazacort tablets. We are leading exporter and manufacturer of Levothyroxine Sodium Tablets. Thyronorm 50 mcg tablet is similar in structure to the hormone naturally produced by the thyroid gland. It provides more thyroid hormones and relieves the symptoms of tiredness, weight gain, and depression. 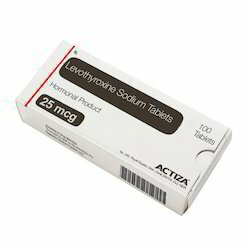 Levothyroxine Sodium Tablets exporter in India. We are leading exporter and manufacturer of Progesterone Tablets. Progesterone Tablets exporter in India. We are leading exporter and manufacturer of Norethisterone Tablets. Adrenal insufficiency, Rash, Vaginal discharge, Headache, Dizziness, Back pain, Increased appetite, Decreased libido, Pain in extremity, Abdominal distension, Cushing syndrome, Sleepiness, Vomiting, Nausea, Edema, Abdominal pain. Norethisterone Tablets exporter in India. We are leading exporter and manufacturer of Levonorgestrel Tablets. Levonorgestrel as an immediate contraceptive measure is thought to work by:Stopping ovaries from releasing an egg.Preventing sperm from fertilizing any egg that may have already released.Stopping a fertilized egg from attaching itself to womb lining.As a T-shaped intrauterine delivery system, after placement inside the womb, small amount of the hormone levonorgestrel reduces the monthly growth of the lining of the womb and thickens the cervical mucus which prevents contact and fertilization of an egg by sperm. Adrenal insufficiency, Rash, Vaginal discharge, Headache, Dizziness, Back pain, Increased appetite, Decreased libido, Pain in extremity, Abdominal distension, Cushing syndrome, Sleepiness, Vomiting, Nausea, Edema, Abdominal pain, Abdominal pain lower, Breast pain, Hair loss, Fatigue, Acne, Hot flushes, Thrombophlebitis, Diarrhoea, Irregular menstrual cycle, Cushingoid syndrome, Increased blood pressure, Depression, Mood changes, Nervousness, Constipation, Increased glucose level in blood, Breathing difficulty. Levonorgestrel Tablets exporter in India. We are leading exporter and manufacturer of Clomiphene Tablets. 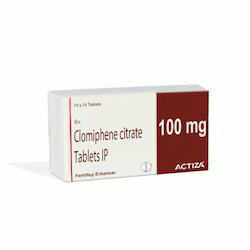 Clomiphene 50mg tablet modulates the receptor for the female hormone, estrogen, in the brain. This causes the pituitary gland of the brain to release more follicle stimulating hormone (FSH), which in turn stimulates the ovary to make an egg (ovulation) and helps couples to conceive. Enlarged Ovary, Headache, Hot flushes, Vomiting, Bloating, Nausea, Intermenstrual bleeding, Breast discomfort. Clomiphene Tablets exporter in India. Electrolyte imbalance, Headache, Redistribution/accumulation of body fat, Bone degradation, Increased risk of infection, Insomnia (difficulty in sleeping), Increased hair growth. Deflazacort Tablets exporter in India. 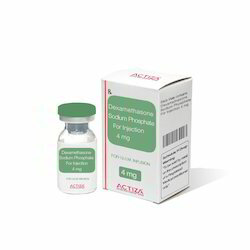 We are leading Exporter and Manufacturer of Hydrocortisone Injection. 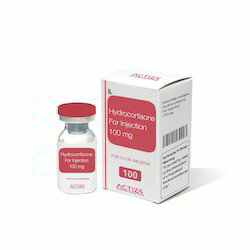 Hydrocortisone Injection exporter in India. Dexamethasone belongs to a group of medicines called corticosteroids. It prevents late phase allergic reactions by preventing release of chemicals responsible for allergy. We are leading exporter and manufacturer of Clenbuterol Tablets. Clenbuterol, marketed as Dilaterol, Spiropent, Ventipulmin,is a sympathomimetic amine used by sufferers of breathing disorders as a decongestant and bronchodilator. People with chronic breathing disorders such as asthma use this as a bronchodilator to make breathing easier. It is most commonly available as the hydrochloride salt, clenbuterol hydrochloride. Clenbuterol Tablets exporter in India. We are leading exporter and manufacturer of Methylprednisolone Tablets. Methylprednisolone Tablets exporter in India. We are leading Exporter and Manufacturer of Cyproterone Tablet. Cyproterone is used in the treatment of prostate cancer and polycystic ovary syndrome (pcos). Cyproterone blocks the effect of the natural male hormones on the growth of prostate cells. Cyproterone also blocks the undesired effects of androgens in females such as excessive hair growth and acne. Cyproterone Tablet exporter in India. We are leading Exporter and Manufacturer of Desogestrel Tablet. Desogestrel is a type of the progestogen, a female hormone, and acts by preventing the egg cell from ripening. Desogestrel Tablet exporter in India. We are leading Exporter and Manufacturer of Estradiol Valerate Tablet. Estradiol is used for hormone replacement therapy (hrt), post menopausal osteoporosis and contraception. Estradiol Valerate Tablet exporter in India. Looking for Steroid Products ?